I’ll tell you what — if this here little obstacle was placed on my bike path to work, I’d be late going in every day. 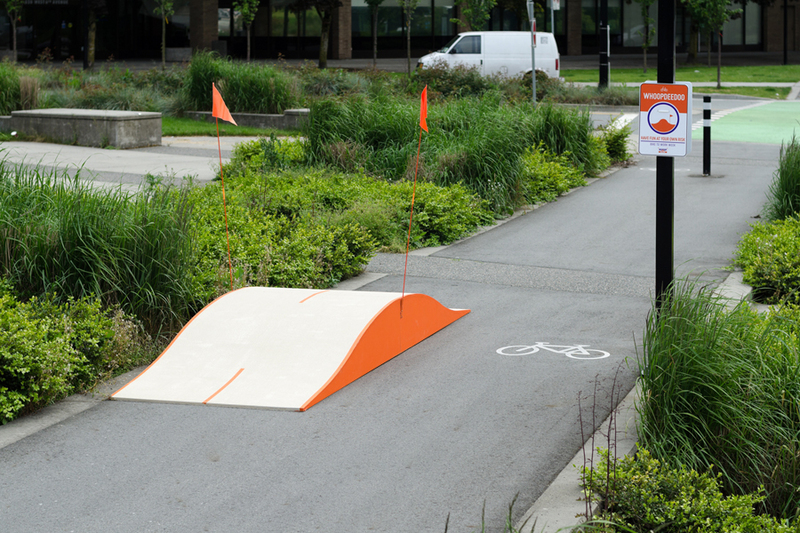 The ramp is called the “Whoopdeedoo” and it’s meant to make biking into work a bit more fun. A series of these little bumps in the path are located all throughout Vancouver for the purpose of celebrating the city’s annual “Bike-to-Work” week campaign. Designer Greg Papove came up with the design for the ramp. 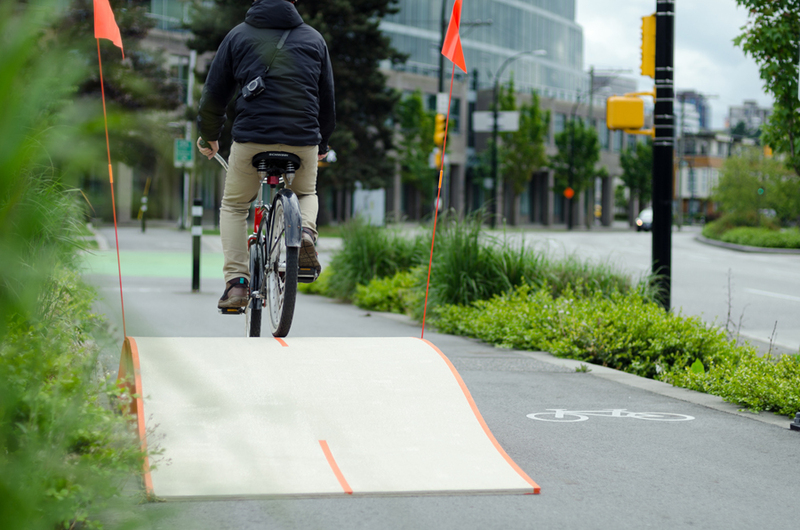 It’s low enough so that all ages / biking skill levels can use it, and features simple to follow, bright lines and border flags to ensure riders don’t hurt or otherwise kill themselves going over the edge. 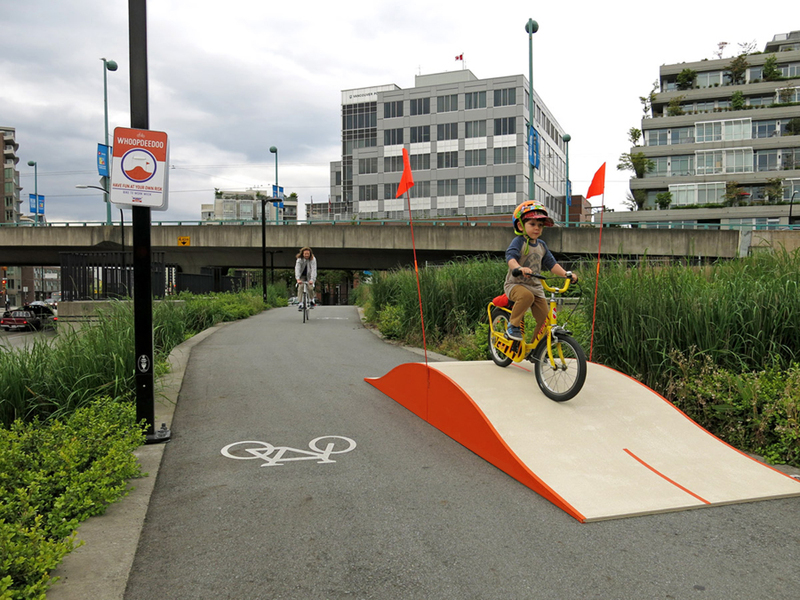 While it might not seem like much, the ramp has proven surprisingly popular. Get the experience of going over it in the video below. This week we started tooling of the new bike handlebar mount. This new design incorporates stronger materials and a much more secure mounting system. We are anticipating our production tool to make our first T1 prototype by July with an anticipated launch in September at Interbike. Pre-order this new Boombot bike speaker mount design and you can be selected to be one of the first 300 riders to receive the product. The new bar mount is compatible with all Boombotix portable speakers including Boombot REX, Boombot1 and Boombot2. This new unit is capable of withstanding conditions for both on and off road use. All units include a No Matter What Warranty.